Straight off the reader is drawn into this tale that is remarkably well written considering it has been translated from Hebrew. It is described as ‘An Autobiographical Mystery’ but is in fact a combination of autobiography, biography and memoir. It all starts when the author is informed about a possible inheritance he had no knowledge of. This sends him on a journey of discovery that would last a year and a half. A journey during which he will discover much about his family, their friends and acquaintances. During which he will discover unpleasant, upsetting facts and will be led to destinations never before considered. Yes, it is an ‘adventure’ and in many ways a ‘mystery’ tour. His mother had been reticent about the old days, the memories too painful, so his knowledge of events had been limited. Now he would discover far more than he anticipated or expected possible. The accounts of how he researched and discovered various details and the assistance he received from public organisations are engaging in themselves. The issues and matters slowly uncovered are even more so. The reader is effortlessly carried along looking forward to what would come to light next. The book provides a combination of interesting social, world and personal histories. Though most will have some knowledge of the world events covered, this account provides a far more ‘human’ insight and understanding. The holocaust forms an important part of this tale; many of the author’s ancestors and their friends were victims. However, the book is about more than that and the author sensibly spares the reader too many horrific details. Nevertheless, an interesting element in the book is the inclusion of extracts from an aunt’s diary, kept in a note book while hiding from the Nazi’s. Not only will the reader sense the understandable concern but will also be shown how human nature can still be mean and uncaring even in the midst of such dreadful circumstances. Even when there is a common enemy. It would be unfair to both author and potential reader to go into too much further detail. Suffice it to say the reader accompanies the author on an interesting and informative journey. Understandably, the journey is an emotional one for the author with which the reader may empathise. There is one point, earlier in the book, when, so as to set context and relationships, there is a sort of family tree. Some may find this a little tedious and even perhaps uninteresting. Nevertheless, it is a necessary part of any such family history. Though the book may not appeal to all readers of autobiography, biography or memoir or general readers of mixed genre, it is well written and, as already said, draws the reader in and along. Four stars (4*). Available in paperback, e-book and audio formats. Excellent review Tanya. 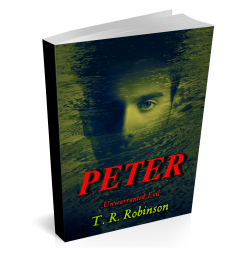 It gives the reader a clear idea of what the book is about and the quality of the writing.